Rory McIlroy's Masters bid could hold the key to his participation in next year's Dubai Duty Free Irish Open at Lahinch. 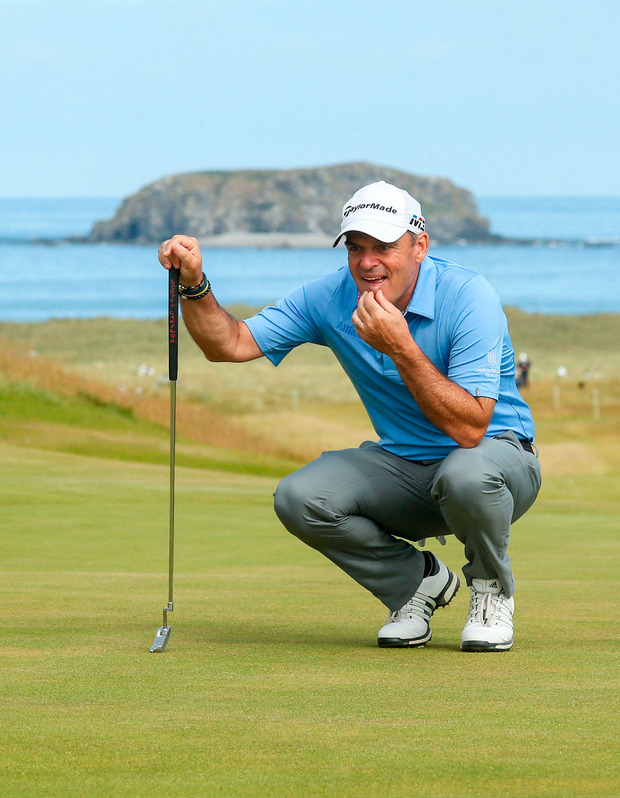 Irish Open host Paul McGinley admits that while the Holywood star's absence would be a blow to the $7 million Rolex Series event at the Co Clare links from July 4-7, his performance in the Masters could change everything. "It's always a blow when Rory McIlroy doesn't play," McGinley said at a Shannon Chamber lunch for local business leaders at Dromoland Castle Hotel in Co Clare. "He's one of the superstars of the game. He's been front and central in the Irish Open for the past four or five years, he's a huge draw and we'd love to have him. "But at the same time, I am not going to put any pressure on him. His focus at this moment in time, rightly so, is trying to win the Masters. "And whatever he has to do to win the Masters, he's right to get that in place. I think we will have a little more clarity after he plays the Masters." Shane Lowry and Paul Dunne finished tied 10th behind Belgium after a roller-coaster finish to their ISPS Handa Melbourne World Cup of Golf bid in Australia. Eight shots behind leaders Thomas Pieters and Thomas Detry heading into the final day foursomes, the Irish duo made five birdies in an outward 32 to move into a tie for second. However, they mixed two birdies with two bogeys and a triple bogey seven in a homeward 39, closing with a 71 to finish 11 strokes behind the eventual champions on 12-under par. An adventurous final round summed up a hit-and-miss season for the Irish duo, who shot 64 and in the two fourball rounds, but saw their title hopes crippled by a 76 in Friday's foursomes. "Great week with great people," said Lowry, who like Dunne, earned $51,166. "Wasn't to be for us, but we gave it our all." World No 74 Lowry will resume his quest to get back into the top 50 in the world in Abu Dhabi in January, where he will be joined by world No 111 Dunne. The Greystones star, who turns 26 today, is taking a two-week holiday before closing his year at next month's Alfred Dunhill Championship at Leopard Creek. Five ahead overnight, Detry and Pieters birdied the 18th for a four-under 68 and a three-shot win on 23-under par from Australia's Marc Leishman and Cameron Smith (65) and Mexico's Abraham Ancer and Robert Diaz (66). England's Aaron Rai (23) held off a final-round charge by Matthew Fitzpatrick to complete a wire-to-wire win in the European Tour's season-opening Honma Hong Kong Open at Hong Kong Golf Club. Rai shot 69 to win his maiden title by a shot on 17-under par from compatriot Fitzpatrick (64), as Tommy Fleetwood (73) ended up 10 behind in 14th. In Spain, Slieve Russell's Leona Maguire (23) closed with a bogey-free 69 to finish tied for 18th on one-over in the Ladies Andalucia Open de Espana in Marbella. She picked up €4,575 on her professional debut on the Ladies European Tour, as the Netherlands' Anne van Dam closed with a 70 to win the €45,000 top prize by three shots from Spain's Azahara Munoz (69) on 13-under.